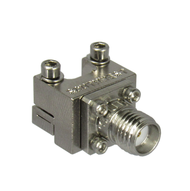 We feature high performance coaxial connectors, including smp bullets. Also edge launch 2.92mm & 2.4mm connectors. & We've just started offering connectors that can be used to make cable assemblies. SMA Conectors are available for cables, and we also have sma connectors -thread in style. Please select from the drop down menu above to find the exact category of connector you need.